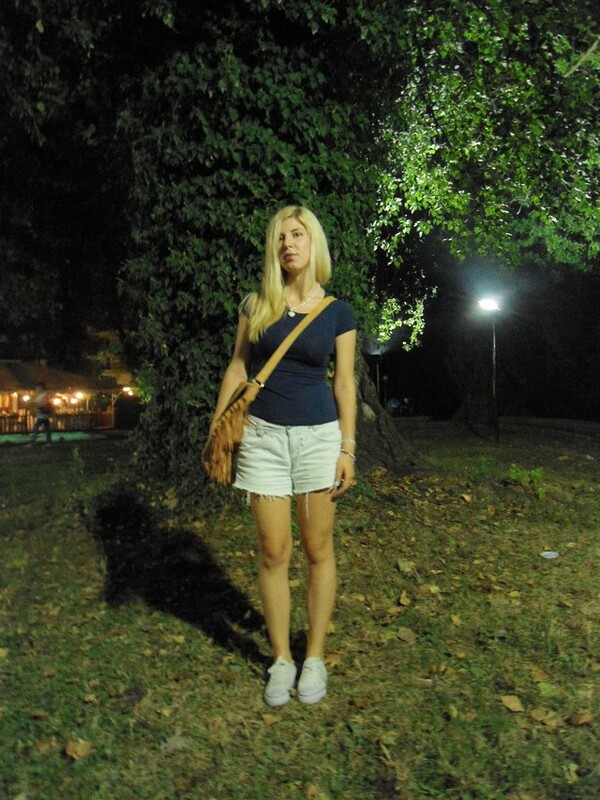 This week there were a four-day music festival in my hometown and here what I wore on the second day. Crop jeans, white all stars and boho bag can create a cool outfit for a concert. I can't believe how fast the time goes by, it's Friday again and time to be on the beach again to relax by the sea. Any plans for weekend? Your outfit is gorgeous! You always surprise me! Great outfit for a concert! The fringe bag is really incredible! Comfy & cool :) Perrrfect! J'adore les photos....Et ton sac est trop joli!! Egw pali Suvota tha tin bgalw to SK!!! I like that shorts. Have a great weekend. I adore your simple but yet so chic look Mary girl. You look gorgeous. Perfect outfit for a music festival!